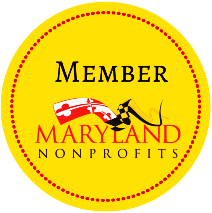 While our expertise spans many industries, we specialize in working with nonprofits and associations. Blue Ridge Adaptive Snow Sports Inc.
Gratzer Graphics LLC is a Maryland/Washington, DC area woman-owned design firm specialized in helping nonprofits further their missions and achieve better results by improving their branding and marketing materials, website, publications and event collateral. All content copyright ©2003–2019 Gratzer Graphics LLC. No content may be reproduced or altered in any medium without written permission of Gratzer Graphics LLC. Accessibility notice: We are in the process of making our website fully accessible.